MILLIGAN COLLEGE, Tenn. (Dec. 4, 2015) — Milligan College is planning fall commencement for Friday, Dec. 11, at 7 p.m. in the college’s Mary B. Martin Auditorium located in Seeger Chapel. Milligan’s Distinguished Professor of Christian Ministries Dr. LeRoy Lawson, who has a long association with the college and Emmanuel Christian Seminary at Milligan, will be the keynote speaker at the ceremony, where Milligan will award 109 degrees. The December graduates include five Bachelor of Arts (B.A. ), 37 Bachelor of Science (B.S. ), 16 Master of Business Administration (MBA), six Master of Education (M.Ed. ), 14 Master of Science in Counseling and 31 Master of Science in Occupational Therapy (MSOT) students. Of the bachelor’s degree recipients, 23 are Adult Degree Completion Program (ADCP) students. Dr. E. LeRoy Lawson has over 50 years of ministry experience, including youth, pastoral, and teaching ministries. In January 2012, he joined the full time faculty of Emmanuel after an association with the seminary that goes back to its first year of classes on Milligan’s campus in 1965. At Milligan, Lawson has served as trustee, assistant professor of English, English department chair, director of the humanities program, vice president and now currently serves as professor of Christian ministries with special emphases in church administration and leadership, spiritual formation and preaching. He served as president of Hope International University in Fullerton, California, from 1990 to 2003. 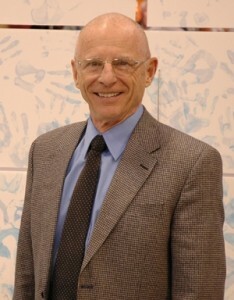 During the first nine years there, Lawson also was the senior minister of Central Christian Church in Mesa, Arizona, a position he held from 1979 to 1999. He currently is International Consultant with Christian Missionary Fellowship International and serves as interim pastor at First Christian Church in Johnson City, Tennessee. Lawson received his Bachelor of Arts in theology from Northwest Christian University; Bachelor of Arts in English, Cascade College; Master of Arts in teaching, Reed College; and Doctor of Philosophy in English, Vanderbilt University. He and his wife, Joy, live in Johnson City. Posted by Stephen Woodward on December 4, 2015.